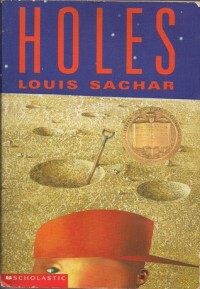 Holes is an exciting story about a young boy who believes he is sent to a camp, but he is actually sent to a remote area where he is told to dig holes all day long. He meets the best friends of his life and after digging a hole one day, uncovers something that changes his life forever. I would read this to my class as a read-aloud. I love reading chapter books to a class and I would read it whenever we had spare time or during free time if the students want, but making sure to read at least one chapter every day so it would be finished soon rather than spanning it out throughout the year.